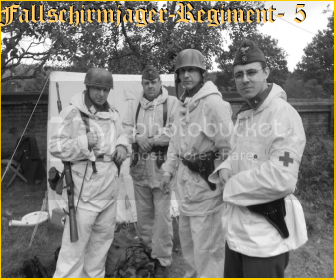 wwii axis reenactment forum • View topic - Any Hermann Goering jaegers out there? Any Hermann Goering jaegers out there? Post subject: Any Hermann Goering jaegers out there? I'm interested in knowing the re-enactment groups who portray Hermann Goering Division in North Africa or Italy. Our Brigade Ramcke section is growing steadily and by next year, we should have an interested vehicle available for the group, which would be ideal as a recon vehicle. I'm doing a lot of research myself, but would be great if there is someone with similar interests, with whom we can exchange some information related to HG. Post subject: Re: Any Hermann Goering jaegers out there? Our group ocasionally do HG div.